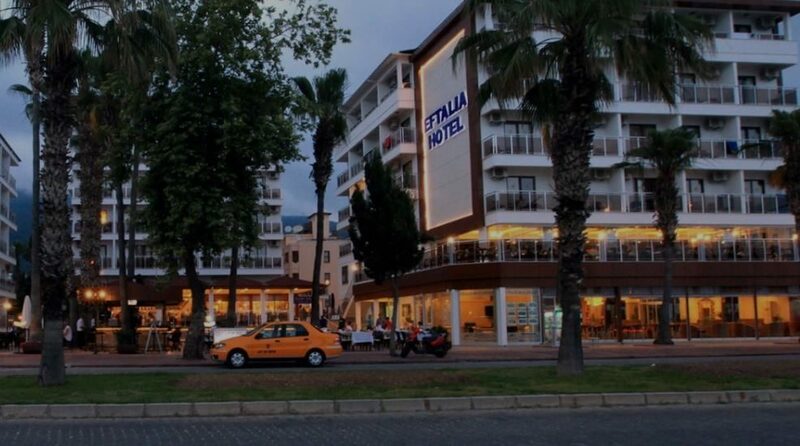 Eftalia Aytur Hotel is located footsteps from the beach and only a kilometre away from Alanya city centre. 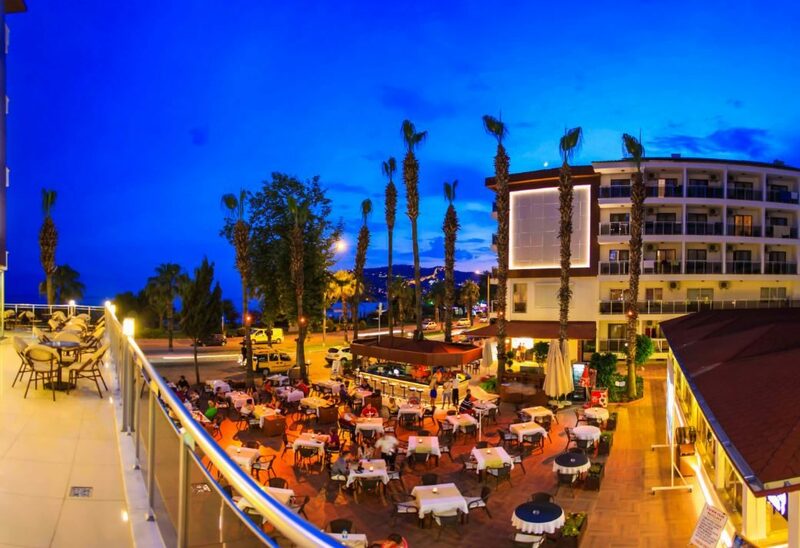 This recently-renovated Turkey hotel combines a plethora of on-site facilities with tasty culinary experiences and chic guest rooms; everything you need to enjoy a relaxing holiday in the sunshine! 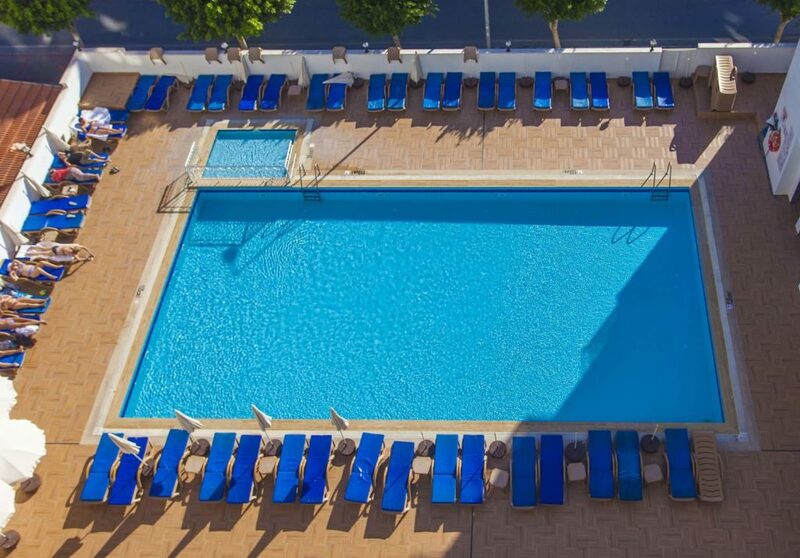 Spend your mornings working on your tan by the outdoor pools, while the children have fun with their friends in their own pool and playground. Escape for a relaxing massage in the spa, try an authentic Turkish bath, or work up a sweat in the fitness centre. Choose your partner for a game of table tennis or join in a game of backgammon or chess. A contemporary decor of light wooden furniture and brown and cream linens and wallpaper set the scene in your guest room or suite. Welcome touches such as a television to entertain and air-conditioning to keep you cool help you feel at home. What better way to start your evening than with a drink on your balcony? The on-site bars and eateries take care of your food and drink. From buffet-style fare in the main restaurant to traditional Turkish fare in the a la carte eatery and a choice of drinks in the four bars; there's plenty to tempt your taste buds. Occasional evening entertainment adds to the fun after dark too. 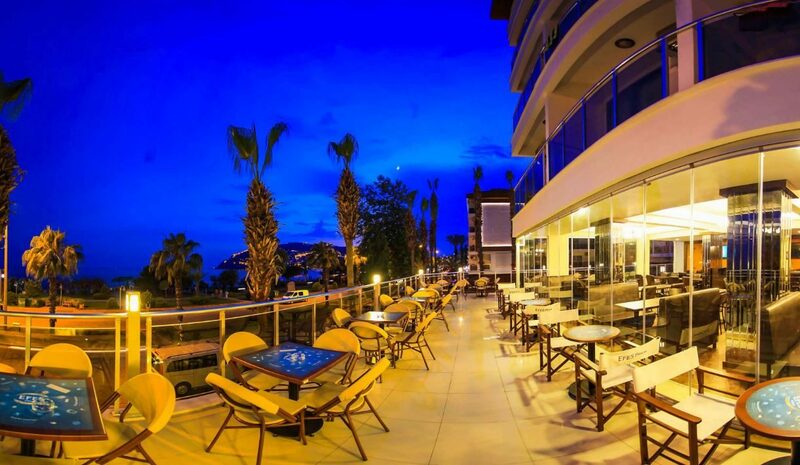 Discover why Eftalia Aytur Hotel is a popular place to stay for Turkey holidays. Eftalia Aytur Hotel offers plentiful facilities, including: two outdoor swimming pools, children's pool, indoor pool, sun terrace with sun loungers and parasols, two restaurants, four bars, spa with Turkish bath, sauna, and steam room, complimentary Wi-Fi access, and 24-hour reception. Activity options include: a fitness centre, children's playground, table tennis, darts, and backgammon and chess games. 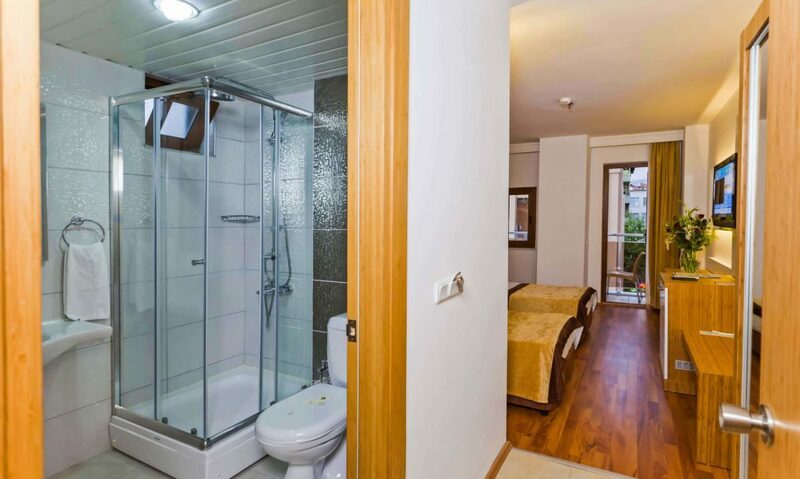 This Alanya hotel has a total of 222 modern guest rooms; comprising Standard, Bunk Bed, and Large Rooms plus Apartments. 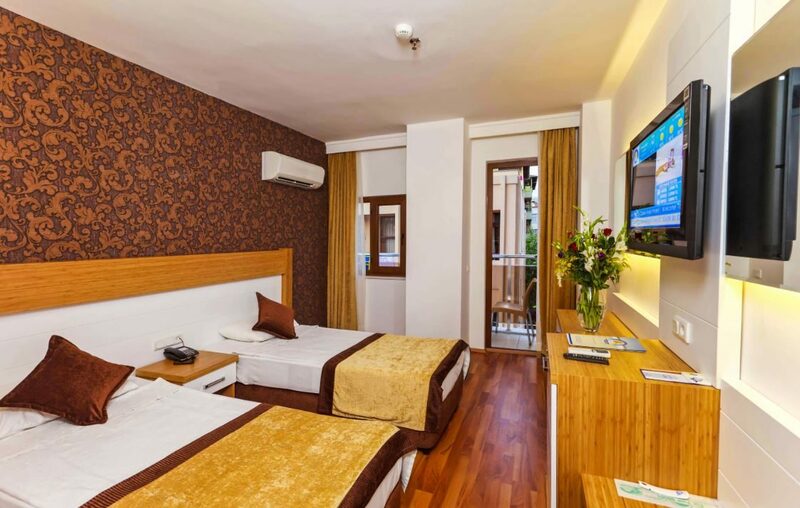 Standard rooms feature air-conditioning, minibar, safety deposit box, telephone, television, and hairdryer. The main restaurant serves open buffet-style meals, with local and international dishes on the menu. There is also an a la carte restaurant offering a choice of tasty Turkish dishes. 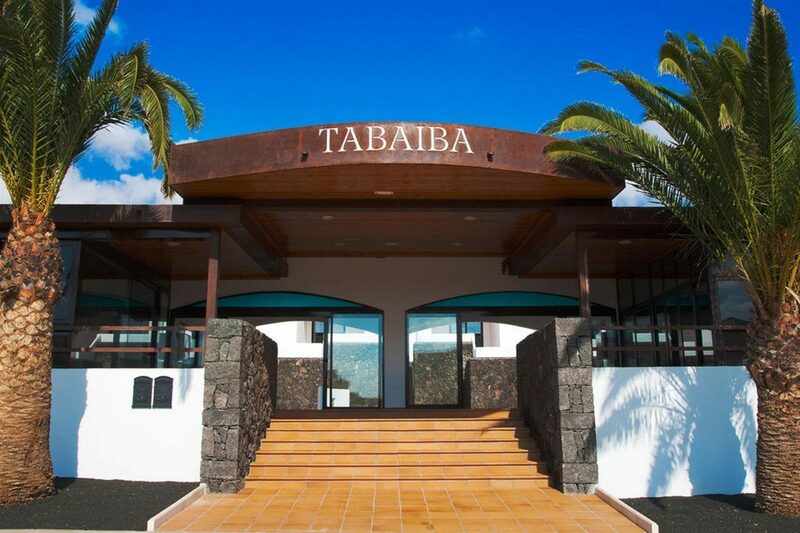 There are four bars including the pool, garden, lobby, and beach bars which offer a selection of hot and cold drinks. You can also enjoy occasional evening entertainment including live music.